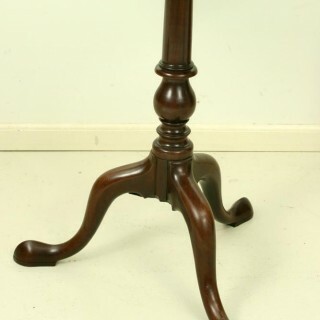 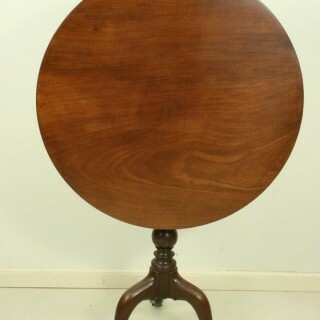 ANTIQUE TILT-TOP MAHOGANY TRIPOD TABLE. 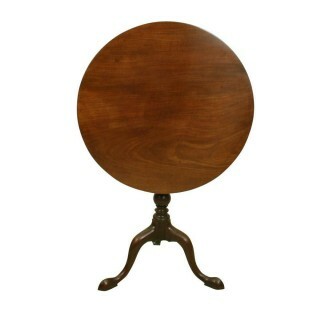 A mahogany tripod table of exceptional quality. 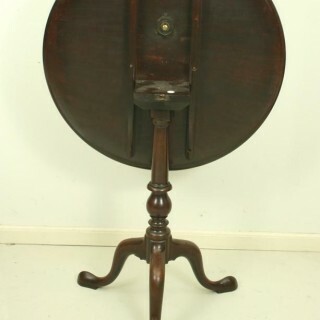 The top is of one piece solid mahogany with a tilt-top action secured with a brass latch. 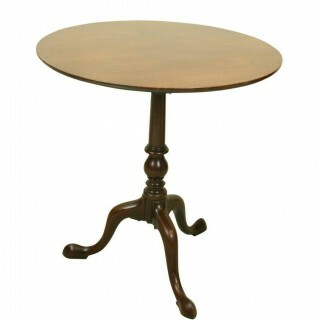 It rests on a beautifully turned pedestal with three cabriolet legs terminating in well shaped pad feet.